Combine the mystery of a haunted tour with fun of a pub crawl that is perfect for a great night out. A guide will lead the small group on a 2.5-hour walking tour through the historic district of downtown Dallas. Stop at four bars along the way, each housed in historic buildings with their own unique ghosts and stories. Guests will have time to enjoy a delicious libation as the guide tells them all about the fascinating history of Dallas and some of its most famous and creepy haunted stories. Your tour begins at Frankie’s Downtown, a seemingly ordinary sports bar that contains many secrets and mysteries in its historic walls. Meet your costumed guide, either a Saloon Madam or Wild West Sheriff, in the speakeasy-themed basement bar aptly coined 'the Underground.' From there, follow your guide on a journey through Dallas' historical downtown, which offers glimpses into the past and reveals the stories of long-dead phantoms and specters who still call Dallas home. 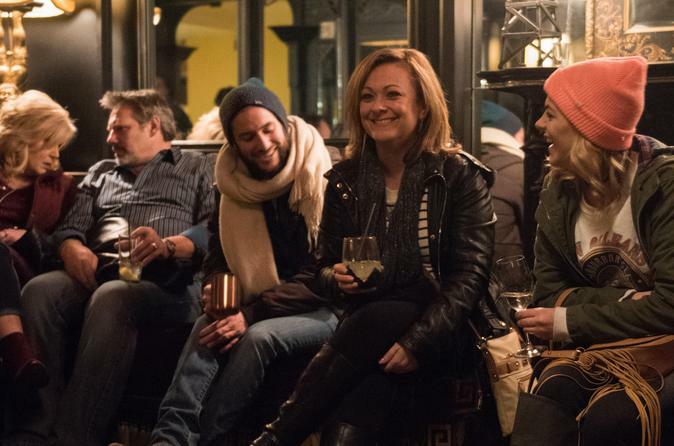 Visit four different bars, each with their own ghost stories and history, where you can grab a delicious 'spirit' and listen to tales of things that go bump in the night (drinks at your own expense). The walking tour covers approximately 1 mile (1.6 km) and ends a block away from the starting location at City Tavern.